The 90th Academy Awards was on Sunday.March 4. Jimmy Kimmel was the host again for the second straight year. Last year’s Oscars was famous for its response to the previous year’s Oscar So White campaign by the awards increased diversity, and for the Best Picture mix-up. It was glorious. You can find my review from last year below this article. This year’s ceremony didn’t have anything as memorable, but it still had its highlights. This year’s telecast began in black and white with Jimmy doing an old-timey announcer voice. It led to his opening monologue. It consisted of him addressing the elephant in the room, Hollywood dealing with its sexual harassment problem. Jimmy made jokes about Harvey Weinstein and Oscar itself being the perfect man. After his monologue the first awards were given out. 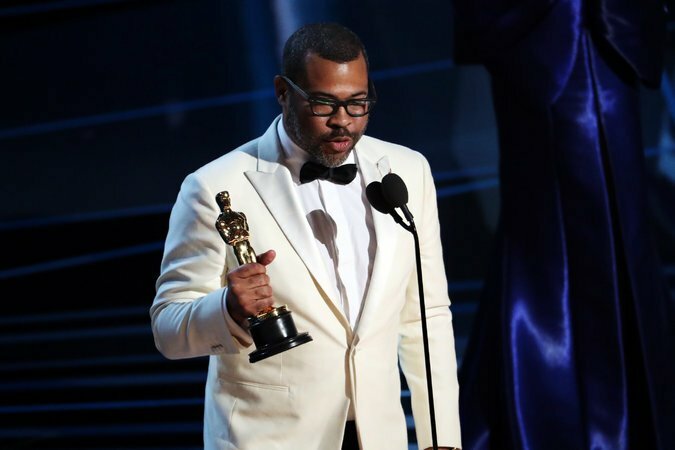 Some of the more memorable acceptance speeches were given by Alison Janney, Jordan Peele, Guillermo del Toro, and Frances McDormand. The evening’s theme was about #TimesUp and #MeToo. Many of the speeches were also about immigrants, since many of the people at the Oscars are immigrants themselves. Tiffany Haddis and Maya Rudolph were hilarious together as presenters. Many people think they should either host the show together next year, or do a movie together. Jimmy took some of the stars to a movie theatre across the street to surprise the movie goers and shoot hotdogs to the crowd. [I’d like to have that hotdog gun.] If you are interested in fashions, Clevver gave their top ten fashion winners. Entertainment Tonight gave their top ten too. It was a long program, nearly four hours. Despite its length, it was enjoyable. Here are this year’s winners.